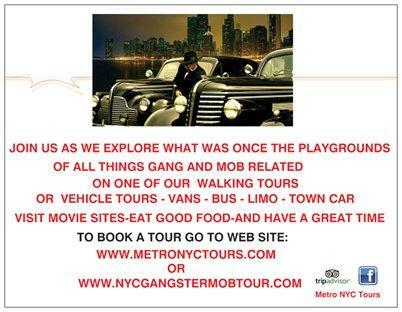 of the Gambino crime family. Manhattan Federal Court Judge Richard Berman said the sentence was appropriate given the nature of the crimes and the “history and characteristics” of the former Gambino consigliere. Corozzo continues to hold considerable power in the Gambino crime family, prosecutors said. Brother Nicholas (Little Nicky) Corozzo was a powerful capo. In 2009, he was sentenced to 13 1/2 years in prison for ordering a gangland murder in Brooklyn that left an innocent bystander dead. 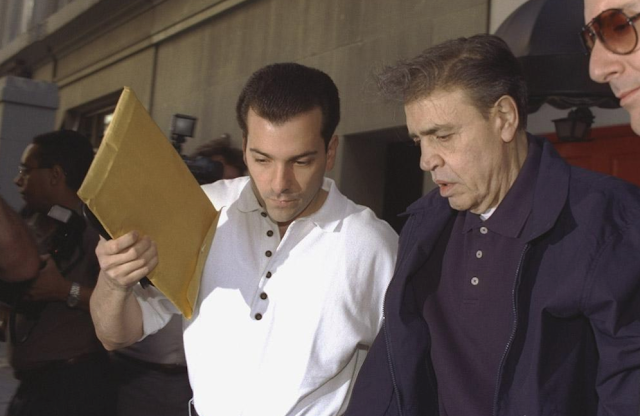 Little Nicky Corozzo was in line to take charge of the Gambino crime family after Peter Gotti was sentenced to life in prison. But that probably won't be happening now, as Corozzo will be 80 before he gets out of prison. Corozzo had pleaded guilty to ordering the 1996 murder of Luchese crime associate Robert Arena. Also killed was Thomas Maranga, whose only crime was happening to sit in Arena's car when the shooting started. 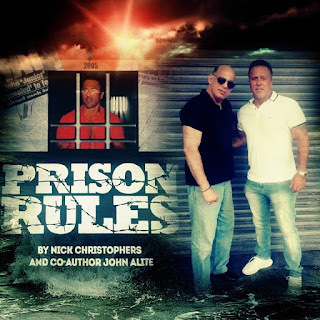 Michael DiLeonardo, Steven Kaplan, John (Junior) Gotti, Bobby Boriello. 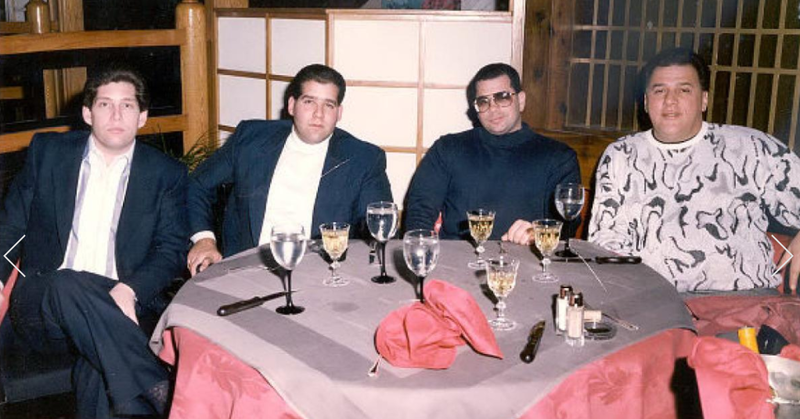 In late April, early May of 2002, Michael DiLeonardo and Richie Gotti, both Gambino capos, met with JoJo Corozzo. Michael had only recently returned home. In 2001, DiLeonardo was acquitted of racketeering and conspiracy charges in Atlanta, Georgia. 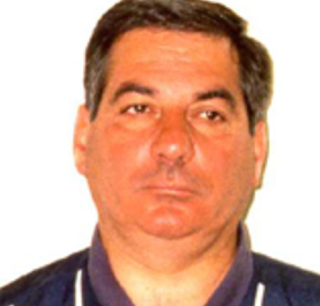 JoJo Corozzo had assumed power as consiglieri of the Gambino crime family. John Senior had been off the street around 10 years by then. In fact, he died that same year, on June 10. Ten Mafia years is like 100 of our years. move to Canarsie. He was wrong. Michael was feeling ornery. There'd been a lot of beefs since he'd returned home. The Gotti's were still in power, nominally. And Jo Jo was seeking to consolidate power. DiLeonardo, frankly, was in the way. And he knew it. He'd go to some of the meetings. He weighed his words carefully. He watched as the life he'd bought into, lock, stock and barrel, changed to a farce of what it had once been. Maybe Michael started wondering when the shift had begun. Was it outside Sparks Steakhouse, did he wonder? Mob apologists will say Corozzo was "in the right," but when you consider everything, it was a simple power play. Corozzo wanted DiLeonardo's earners. One of the main ones, at the time, was Salvatore Romano. Michael recounted the conversation today: "I started showing up at meetings with only two things on me: my driver's license and $200 in case they stuck me with the check." At the meeting with Corozzo, the trio was there to cover a range of issues -- all sore spots, all places where Michael earned. Jo Jo, having risen in the ranks, wanted Michael's action. Michael, who'd been paying Peter Gotti loyally, who paid Richard Gotti, who didn't stop John Gammarano's action (Johnny G had family in New York and another family in Florida to support) when he could've. Michael, who was offered the role of consiglieri by John Gotti himself, John J. Gotti, but had turned it down, a decision that could be viewed in hindsight as a tactical error. Jo Jo was making serious accusations against Michael. When it came to John Gammarano, Jo Jo lied by saying: "I was Gammarno's friends since we were little kids," he told Michael. "You robbed Johnny G."
Michael stood his ground. "This was all settled," he said. He explained. His words were just so much hot air to Corozzo. Michael had been in the life too long not to be able to read the tea leaves, and he was sick. He was sick today while he remembered all this. But that day, while Jo Jo was talking, for some reason he wasn't looking at Michael. He was looking Richie Gotti in the eyes. Richie was there, ostensibly, to back up Michael. But when Richie failed to speak when he should've, Michael realized the extent of how screwed he really was. "Look at me when you're talking to me," Michael suddenly told Corozzo. Jo Jo, stunned into momentary silence, suddenly leaped to his feet and yelled: "I'm looking at you now! I'm looking at you now!" Michael was nonplussed. "I told Jo Jo to sit down, people are looking, its embarrassing. He was making a scene," he recalled of the tense meeting. Corozzo abruptly left for the men's room. Michael went to talk to the boss, Peter Gotti, a short while after the meeting. Peter laughed as DiLeonardo approached him. "You're having problems with Jo Jo?" He told Michael he would take care of everything, patting him on the back. John Gotti used to call Peter "retard." Sal Romano's memory is as precise as his way with words. "Johnny G. did not want anyone to know his business. That was why he only wanted me dealing with his relatives." As noted, after Gammarano began his five-year sentence in May 1996, Romano was stuck between a rock and a hard place. Had he been made, of course, he'd have had no problems. In addition to building ongoing revenue streams, what also fueled Romano's efforts was an overwhelming personal desire to get a button with the Gambino crime family. Keeping his eye on that prize, he carefully conducted himself in the underworld of the New York Mafia. This was right before he hooked up with Michael DiLeonardo. Romano went to see a family friend. (He would've sought his father's counsel, but his father was still serving a prison stint.) 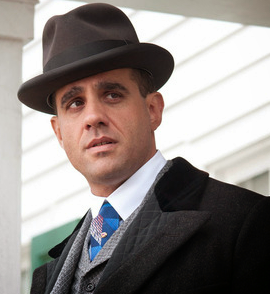 The man he went to see had been one of Romano's father’s oldest and dearest friends, Henry (Hank) Motta. 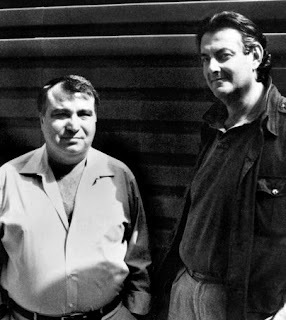 Like Romano's father, Motta also had been tight with Frank DeCicco, the mobster who served in John Gotti's first administration after the whacking of Paul Castellano. In late November of 2000, seven members of the Luchese crime family were indicted on charges of conducting a 13-year "reign of terror" on the streets of Bensonhurst, Brooklyn. Eugene (Boobsie) Castelle and Joseph (Joey Flowers) Tangorra, were alleged capos who authorities say headed a crew charged with two murder conspiracies and a drug, extortion and loansharking operation that dated to 1987. The crew allegedly divvied the Bensonhurst drug trade with the Bonanno crime family's Bath Ave. Crew and extorted tribute payments from shopkeepers in the neighborhood through brute force and arson. 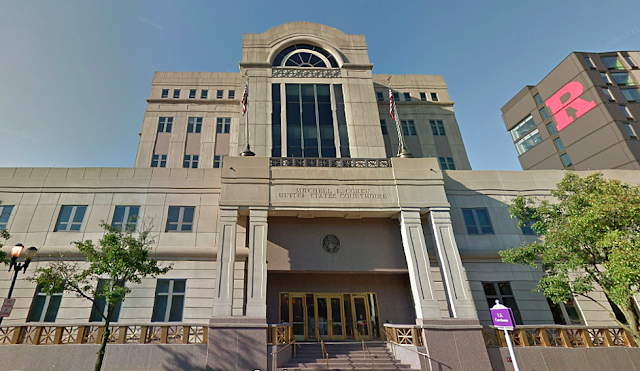 Also charged are two alleged Luchese soldiers, Joseph (JoJo) Truncale and Scott Gervasi, and three alleged associates, John (Big John) Castellucci, Lester Ellis, aka Zullo, and Robert (the Vulture) Greenberg, aka Volturo. The 48-count indictment charges Tangorra and Truncale with conspiracy to murder Victor Filocamo in October 1988. The 28-year-old man was shot in the head and found stuffed in the trunk of a BMW on a Brooklyn street. He was killed over suspicions that he was an informant. Tangorra and Ellis were charged with the attempted murder of Henry Motta in March 1992. Motta supposedly had failed to pay a debt. Motta had been shot five times and was left wheelchair-bound. He may have been paralyzed, but his intellect was razor sharp. It took Romano a little time to realize that casting his lot with Michael was the way to go. Initially, feeling strong bonds of loyalty to Gammarano, Romano wasn't sure what to do. But the friend clarified his thinking, he said. 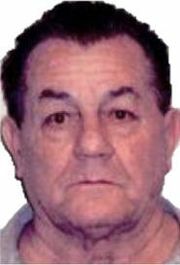 On another front, Gammarano had fallen out of favor with the Gambino crime family. That raised the notion of him possibly dragging Romano down with him. "This is not the way that I had envisioned my start in the life," he said. "Unfortunately, I was learning the hard way. But I was learning." After one last telephone conversation with Gammarano, Romano decided he'd go with Joey D’Angelo. "I reached out to him and set up a meeting with him and Louie Black in Manhattan," he said. He was blunt at that meeting. "Look," he said. "Gammarano’s crazy. He’s been calling me from prison where they record your calls. I’m a convicted felon. I have no idea how he even got my name approved on his call list, but it’s suicide. This guy’s going to blow me and him up." Joey's advice was simplicity itself. He told Romano that the next time Johnny G called, "just hang the fck up on him. Don’t even deal with him. You can’t let the guy hurt you." Sal informed him about the payments from LCP brokerage firm, $5,000 a month. In addition, Romano was taking care of Johnny G and his relative, the middleman Gammarano wanted Sal to work with. Then there was a big IPO coming up, as he told D'Angelo. Joey spoke up quickly after hearing about the pending offering. "That one comes to me," he told Romano, "not to Johnny." That was a problem for Romano, and he told Joey so. "Look," Romano told him, "this is how Johnny takes care of his family while he’s away. The IPO was the one thing I maybe wanted to keep going for him," Romano said, offering Joey the $5,000 a month from LCP instead. D'Angelo didn't like that. "No," he said. "The IPO’s got to come our way, too." Romano wanted to keep things between him and Johnny G peaceful. Johnny G was in prison but had a wife and kids in New York who had to eat, pay rent and what-not. He also had a girlfriend who lived in Florida where she was raising the child she and Johnny G had had together. D'Angelo knew the IPO meant big money, longtime money. Romano realized he was reaching the point of no return. He'd reached a fork in the road and had to pick a direction. It was that simple. He even considered giving Joey and Johnny G the IPO. Basically, he considered cutting himself out of the deal to keep the peace between the two factions that were splitting him apart. That may have sounded good in theory, but it would have been foolish -- very foolish. "If I gave stock to both those guys, it'd be like taking food right out of my own mouth." Never mind the fact that neither Joey nor Johnny G would've liked that move if either was to found out that Sal had chosen that move. Romano got a call at the office the next day. "Larry Fine is calling," his secretary told him. He didn't know a Larry Fine. Neither did his secretary. It was Louie Black calling. Romano agreed to meet him next door, at the Houlihan’s Restaurant. Louie and Joey D’Angelo waited for him in the restaurant’s vestibule. "Forever being the wiseass, I said, 'I see two stooges. Where’s the third?'" 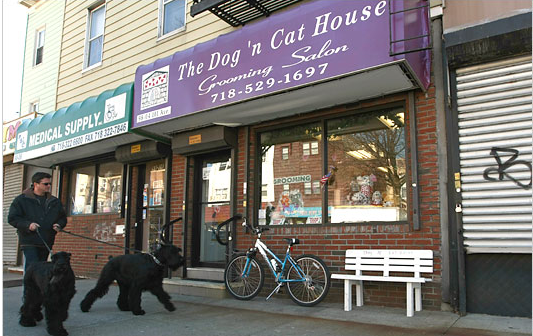 Sal didn't catch a bullet; they all laughed, went inside and found a table and talked business. He'd reached a decision about how to get Johnny G the IPO. He was going to pay Joey $6,000 -- one-thousand more -- monthly from LCP. "And Johnny G gets the IPO share." Romano: "Here’s the bottom line. The IPO’s not going your way. It’s going to Gammarano. And, I don’t know what you want to do about it, but if the three of us are going to have to roll around in the vestibule right here, so be it. It is what it is. That’s what I’m doing." The meeting was over. Joey and Louie departed. Romano knew they were going posthaste to Michael DiLeonardo to report their latest findings. A short while later, it was that Thursday night at Turquoise, the one we mentioned previously when Michael DiLeonardo and Louie Black were there. "Mikie sent Louie to get me. I went over to the bar to meet him for the first time," Romano said. That night, Gambino capo Michael "Mikie Scars" DiLeonardo was in his prime. 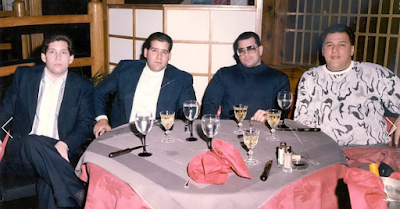 At 40, he was a capo in the Gambino crime family. Romano knows quite a bit about Michael's background. He told me that Michael, Bensonhurst born, was the grandson of Vincenzo DiLeonardo, who'd also been captain in the Gambino crime family. Michael first met Carlo Gambino, the boss himself, at his grandfather's home, Sal told me. Romano said that Michael, while a teenager, began running with violent street gangs. By the age of 21 he was already an associate of the Gambino crime family. Michael was made on Christmas Eve 1988 with John "Junior" Gotti, son of John Gotti Senior, who was the crime family's official boss at the time. Sammy the Bull Gravano, then the consiglieri of the Gambino crime family, presided over the ceremony. Michael became a captain in late 1992, after John J. Gotti was convicted of murder. In 1994, Michael was offered an elevated position to sit on the family’s committee of captains. John Gotti himself asked Michael to become the family’s consigliere. "Michael, who carried enormous clout on the street already, did not feel that it was necessary to accept such a position and deal with the scrutiny and heat that would be inevitable with such a title, so he turned the position down," Romano explained to me. So this was their first face-to-face conversation. Michael spoke up: "Listen, I understand you had a conversation with Louie and Joey the other day. What you need to understand is this guy in jail can’t help you. He’s in jail. He’s older. I’m younger. I’m accessible. I’m out in the street. I heard you’ve got a lot of skills. All I can tell you is that you don’t even need to talk to them. You can deal directly with me. If you ever need me, just reach out to Louie. Louie always knows where I am and he knows how to get in touch with me. You have a direct line now to me." Johnny G. was not doing right by the family, DiLeonardo reminded Sal. "No one in the family even knew about me," Sal said. "I was not officially 'on record' with Gammarano. He kept me very quiet because he did not want anybody knowing what he was earning with me. He had a tendency of doing this with other things as well, such as the construction industry. Gammarano was a greedy guy, not well liked, and his nephew was a civilian who was supposed to take care of me? "Mikie really stressed that I was in good shape now and that I was with the right people. He offered to meet with Johnny G's nephew and explain things. I believed him and I bought in. With that, I also felt that I had gained his respect. I did not think that Michael really trusted me, and he had no reason to. He probably heard bad things about me from Louie, as there was still bad blood there for not paying him ten grand (this refers to an debt that we've not detailed in stories here.)" DiLeonardo told Sal that he’d like to meet with him to discuss the matter further with him. The situation shook out like this: The IPO shares had to go to DiLeonardo, as Romano explained to the nephew. 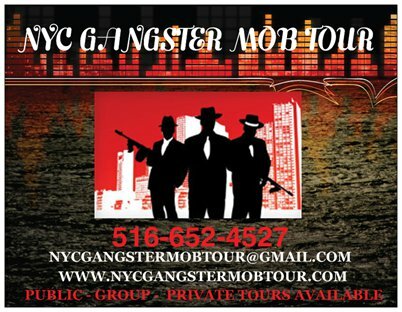 Romano was on record with him, Michael, a Gambino capo "and there’s nothing anybody can do about it. I will always try to be a friend to you and your uncle, but this is something your uncle’s going to have to handle when he gets home. You and I can do nothing about it." Michael reached out to the nephew as well. He used Louie Black to meet him. Romano also explained to Gammarano's nephew that he was not part of the life. Michael was a made member, as was Johnny G. Romano was an associate who could well be fast-tracked to a button. The nephew wasn't entitled to sit down at the table and talk business with Michael. So that wasn't the remedy for the situation with Johnny G.
As Michael told Romano, "We will address Johnny G. when he is released, and Johnny G. will understand. The nephew was unhappy to hear Romano tell him this. But Romano, for the first time in a while, was getting his mojo back. 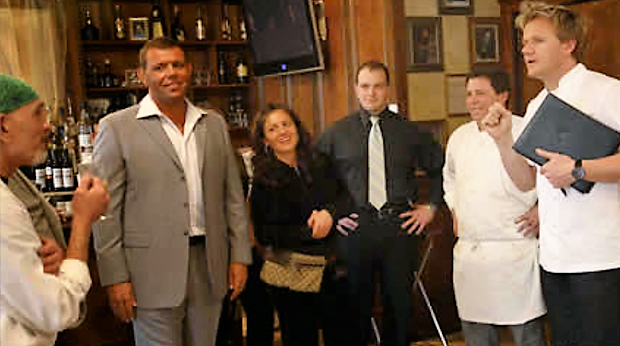 "As my relationship with Mikie and Joey D’Angelo began to grow, they had proved to be much more resourceful and pro-active in my business than Gammarano had ever been." Michael and Joey then began the recruiting drive for brokers from the neighborhood. Silver Capital Group was willing to "play ball," as Romano said. "The brokers would recommend deals to receive cash commissions paid under the table." Joey D'Angelo and Romano worked out an agreement under which Michael and his guys would receive from Romano a fixed percentage, usually 5%, of whatever their recruits bought in in terms of business. "I kept precise records of those monthly totals and paid Little Joey their end on the fifteenth day of the month in cash. This was going well and getting better and better as the office grew rapidly and our purchasing power was soaring, allowing me to make more and more money each month, as well as my new partners. Michael and Little Joey were originally receiving $5,000 a month from LCP, but their end rose to as much as $150,000 in any given month. "The biggest problem I was faced with now was how to convert stock positions into cash that could be used in order to pay the under-the-table commissions to the brokers, Mikie and Little Joey, as this number could be upwards of a million dollars in certain months. "This was not an easy task, as I obviously could not pay any of them by writing a check." I should have those kinds of problems. Is the Lucchese Bensonhurst bust from 2000 the same one Volkman writes about in Gangbusters, when residents supposedly came outside to cheer the arrests?